The Food and Agriculture Organization of the United Nations (FAO) estimates that the global volume of edible food wastage is as much as 1.6 billion tons for a food manufacturer. It’s a mind-boggling statistic if you consider that this equates to roughly one-third of all food produced for human consumption. This means that hunger across the globe could effectively be eradicated simply by recovering only half of what is lost or wasted. Food can be lost or wasted throughout the supply chain, from initial production right down to final household consumption. The FAO ascribes these losses for a food manufacturer to problems in harvesting, storage, packing, transport, infrastructure, price mechanisms as well as institutional and legal frameworks. 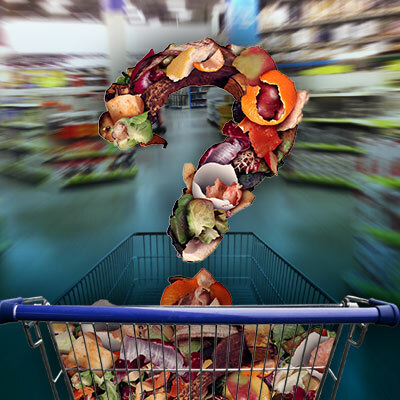 The raised awareness of the grave challenges facing the food industry, is increasingly pressurizing food manufacturers to look at ways in which they can contribute meaningfully to global food sustainability. And this is where technology becomes crucial. Process management software, like ERP solutions, actually has an incredibly important role to play in increasing both production and profitability while remaining sustainable. The use of the right ERP software in the supply chain can revolutionize agricultural processes, ensuring that ‘time to market’ deadlines are met. From the monitoring of the correct level of fertilization of the soil to delivering food to people’s plates, ERP can solve the challenges of quality and perishability coupled with the demand for faster production and delivery. Such software solutions, which are available on multiple platforms and devices, also empower small suppliers by providing real-time access to business-critical information and streamlining communication in the supply chain. An effective ERP system has the ability to track codes and to manage inventory based on code-dated products for effective replenishment planning. The system can calculate an expiration date for a product based on the batch-creation date and the typical shelf life for the product. A manufacturer may have thousands of units in stock today, but if the expiration of the product is tomorrow, inventory could go from a thousand units to zero overnight, causing stock-outs. ERP provides the ability to plan based on code dates. One of the most important issues faced by the food industry is traceability. Legislation and consumers require that food producers and manufacturers are able to trace products throughout the supply chain back to their source. Outbreaks of E.coli poisoning show how important traceability is for public health. A fully automated system provides both peace of mind and adherence to food safety regulations. The provision of custom business software solutions to the agricultural industry and food supply chain ensures that every aspect of the process is tracked, managed and acted on – from the soil right on to supermarket shelves. The improvement of operational efficiencies means that consumers have access to healthy, sustainable food without compromising on profitability for the producer. A win-win really, isn’t it?